In the office of the irrepressible tutubi, it's common practice for us to shop around for a foreign seminar/conference to be funded by my generous company. One of those days when one officemate of mine found one -- the Asian Banker, Bangkok-- where my company regularly sends delegates to. After presenting and justifying the costs, I was surprized I was the one to be sent there on moments notice. 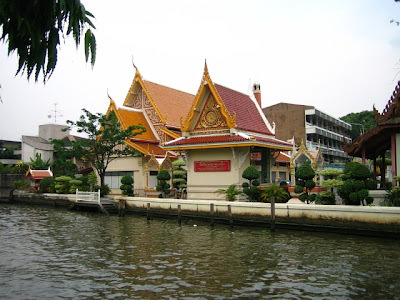 I simply obliged since I was hoping for another seminar to be held elsewhere since I've already been to Bangkok. Reminiscing my first trip, I first saw the exotic Bangkok light in October of 2002 where I was with seven friends on my first foreign sojourn, that took us to the awesome structures of Grand Palace and residence of the Thai's beloved King, the standard half-day riverine tour of the city on the Chao Phraya (the Pasig River of Bangkok), the cabaret-style show reminiscent of Las Vegas performed by transvestites, jewelry shops with their pricey offerings fit for the "usual" tourists, lavish and still expensive, the exotic crocodiles, tigers of Sriracha Tiger Zoo, orchids, elephant shows, thai boxing, and cultural presentations at Nong Nook Gardens in Pattaya. All these capped with dinner at the top of Bangkok's tallest building: the Baiyoke Sky Observatory with a magnificent 360 degree view of the megalopolis! I only noticed that our tour guide was offering the usual fare of lunch that I egged him to serve us Thai food and since I didn't prepare for this trip, I asked, using my limited knowledge of Thailand back then, for us to be taken to the old capital of Siam-- Ayuthaya-- that I remember vividly (but sorry i have no great pictures back then) also when I saw the trailer of Mano Po 3 (showbiz ako), and the much publicized by Hollywood movie Bridge on the River Kwai (yes, I crossed that famous bridge but my lady friends missed due to over-indulgence in the sport they know best: shopping) that made me ashamed of myself for having been there but not yet set foot on the more historically significant Corregidor Island. My company sent me, along with four others, to attend the aforementioned conference and naturally, upon knowing of it, I was tagged as the reluctant tour guide since I already quite familiar with the city due to my backpacking first trip that took me as far as the end of the Airtrain, what we call here as LRT/MRT, where we serendipitously found the famous Chatuchak (Jatujak)weekend market that my friends were searching for. The trip is just 4 days with most of the day spent inside a boring conference room full of people in formal attire and speaking in multitude of languages besides English and but we all speak in the language of the industry we're all in. 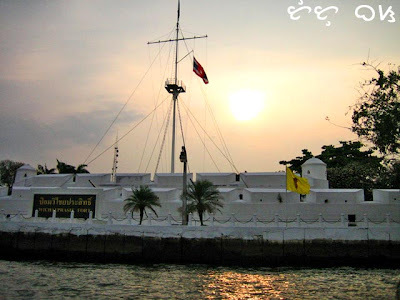 At the end of the river is the Wichai Prasit Fort, the old fortifications on the banks of Chao Phraya and the majestic Wat Arun (Temple of Dawn) that is so enchanting at night. The usual photo opportunity followed with my point-and-shoot in tow. The thing I don't like about travelling with other persons whose interests differ with mine is that I can't wander on my own and thus relegated to being the unwilling tour guide. 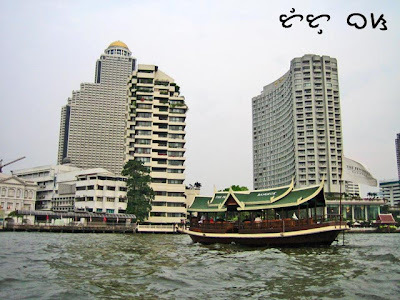 Bangkok is my next destination! 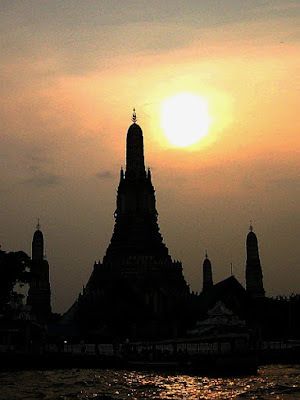 Bangkok's view from Baiyoke is breathtaking, no? 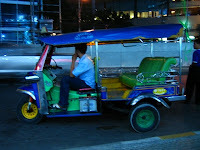 When we were there, we tried eating food served in the streets (Philippines' tur-turo counterpart). My friend was worried we'll get Hepa and other vicious diseases. But it was exciting and fun! Great pictures! 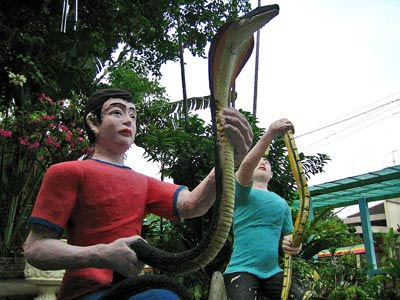 I'm quite fascinated by the picture of statues brandishing cobras. Do they love poisonous snakes? 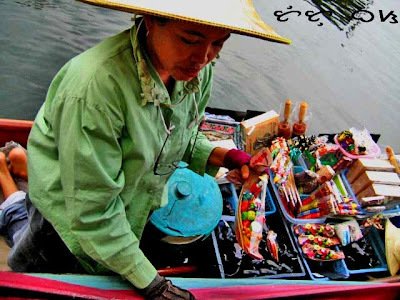 Fascinating Thailand...With these pictures it becomes more enigmatic to me. Very mysterious I shall say...parang mystic kingdom. Just looking at your pictures I want to take the first plane. 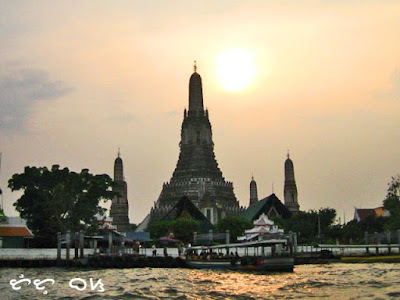 Ang ganda ng Wat Arun! Pictures are amazing. 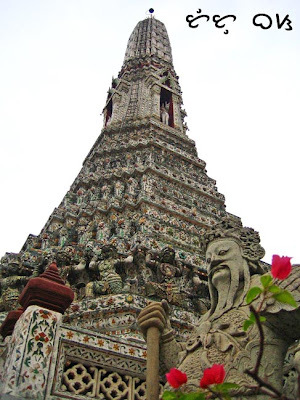 Wat Arun is stunning. I wish I went there around dawn instead of midday. I agree, it's nice to travel with friends since at the end of the day you get to share your experiences but it does hinder you from exploring when you do not have the same interest.